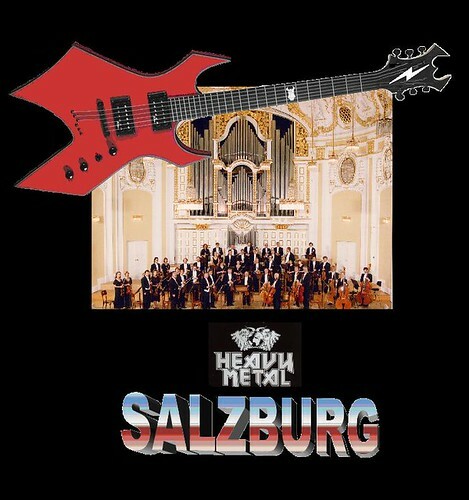 The quaint cobbled streets of Salzburg, Austria ring with string quartets, opera, lieder, and matronly tourists singing tunes from “The Sound of Music.” Next week, Mozart meets Motörhead as 120 scholars gun their Harleys into town for an international conference on Heavy Metal Music. You may have read about in InsideHigherEd or SCREAM! Magazine. Turn it up to eleven, PhDudes! Scholars were asked to submit Heavy Metal papers on topics including nationalism, fascism, imagery, iconography, aesthetics, performance, misogyny, homo-sociality, gender issues, masculinities, subculture, religion, anti-religion, evil, satanism, existentialism, nihilism, hedonism, ethics, horror, and gothic fashion. Everything except audiology. Suicide, Booze and Loud Guitars: The Ethical Problem of Heavy Metal by Daniel Frandsen BA, MA Stud. ; graduate student of philosophy at the University of Southern Denmark (SDU). Some papers have naughty titles. Full program here. To download abstracts, click on the name of the session. A word to prospective attendees from our resident ethnomusicologist: HearOs. Don’t leave home without ’em. Note to newbies: There’s a pretty good bibliography of Heavy Metal scholarship here. Image by Mike Licht. Download a copy here. Creative Commons license; credit Mike Licht, NotionsCapital.com. This entry was posted on October 31, 2008 at 1:23 pm and is filed under education, GLBT, higher education, language, Literature, media, music, racism, religion, research, rhetoric, rock music, sexism, sociology, xenophobia. You can follow any responses to this entry through the RSS 2.0 feed. You can leave a response, or trackback from your own site. Auto-generated related post, “Heavy Metals Can Taint Wine” sounds almost right. A minor adjustment in the title gives us “Wine Can’t Taint Heavy Metal”. Whines can’t either. Sorry I’m going to miss the conference; I have a brown recluse exterminator appointment. oops, quotes should’ve been outside the punctuation. Need to turn the amp up. Lynn: That Turkish scholar is really hot fiddler, in both senses of the word. She would smoke the Bluegrass world. I believe classical and heavy metal music are tightly linked; don’t they both play notes? Richard: I know Heavy Metal has volume, amplitude, and texture (mostly feedback). I’m not so sure about “notes.” Maybe one of the Salzburg HM scholars has discovered some. HM has pyrotechnics; so does Wagner, and his operas use many of the same mythological sources as Heavy Metal. Are there tattoos under those black orchestral tailcoats? Heavy Metal Fanzines seem to know. There’s your “concept CD” title right there. Get bigger amps, stomp boxes, a smoke machine, shaggy beards, payess, and garbardine coats. Are leather yarmulkes allowed if you get them from a kosher butcher? The downside: no more Friday night gigs. We mentioned Bluegrass to Lynn Healey because she is a master of that musical genre here in the Washington, DC area, a virtuoso acoustic guitarist, powerful singer, and masterful arranger. If you come to North America for the SEM meetings, bring your ax!